I’m always ready to try new hair products. 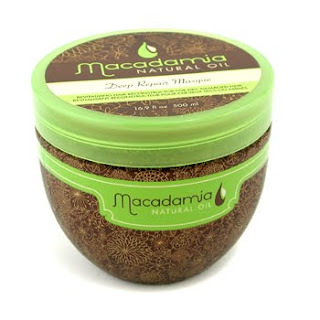 One of my friends told me she is very pleased with Macadamia Natural Oil Deep Repair Masque for dry and damaged hair. The yummy smelling mask deeply hydrates dry hair. It contains extracts like macadamia oil, the precious argan oil, tea tree oil, chamomile oil and aloe. It comes in a huge 16.9oz package. Definitely worth trying it!